From Left to Right: DKNY Printed Silk Pants $245/ Lace Overlay Skirt $80/ Red Pleated Skirt $68/ Leopard Print Shorts $18/ Mod Cloth Green Skirt $43. Do you have those blue jean blues? Everyone sometimes gets stuck in the daily monotony of bland blue jeans. Above are some alternative options that are bound to make a statement and turn some heads! 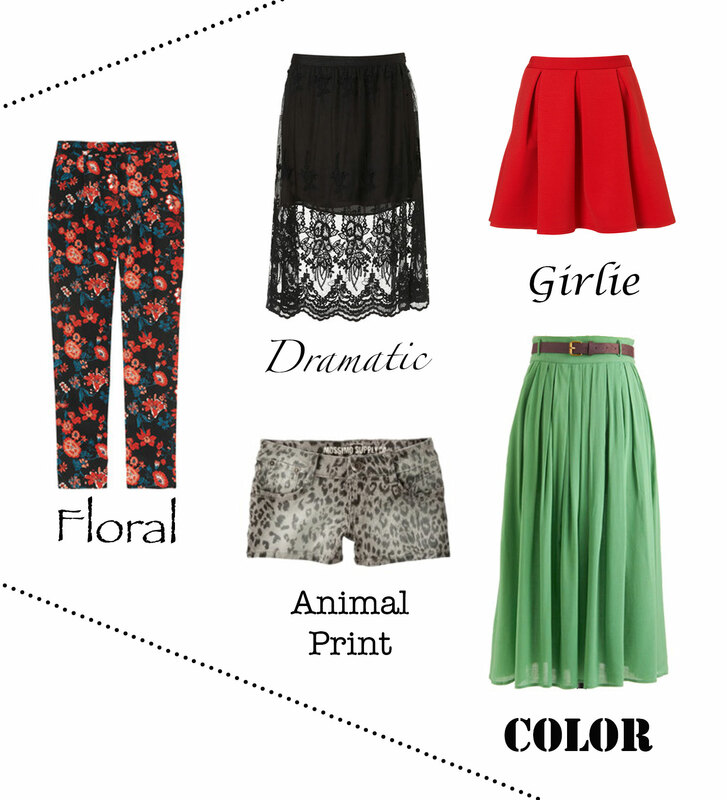 Which style suites you? Love the “girlie” skirt! Adorable find! I love the green skirt, I have some Maxi-Skirts but this is really cute! Thanks Laura! That one’s probably my fave! p.s. thank you so much for nominating me for the Addictive Award. you’ve truly made my day and thank you so much for visitng my blog xo! !